All motorcycles have to have an MOT test one a year when they reach 3 years old. Once an MOT has been issued then the retest date is fixed every year, but you can renew it up to a month before expiry. The earliest date you may have your bike tested while preserving the MOT anniversary will be printed on its pass certificate. What is the Class 2 MOT Test for? 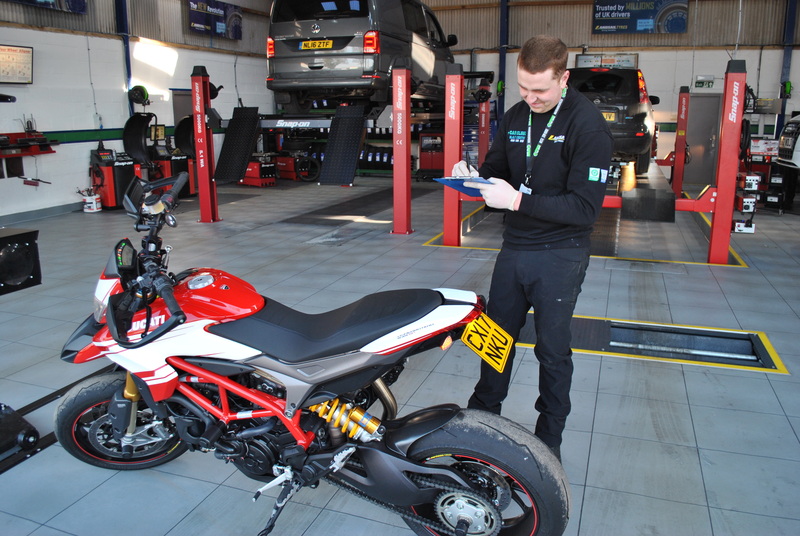 The motorcycle MOT test is a thorough annual check of all the parts which keep your bike in a roadworthy condition. Failing the MOT means you may not use the bike on a public road until any issues that are identified have been resolved. A Class 2 MOT test is for motorcycles with engines greater than 200 CC. Not every part of the motorcycle is checked – for example,the engine, clutch and gearbox – so you still need an annual service to keep your motorcycle working effectively. The MOT is focussed on safety features to protect you, your passengers and other road users. This includes checks such as the condition and functionality of the lights, wheels and tyres, frame and horn. Where can I have a Class 2 MOT Test for my motorcycle in Ellesmere Port? It’s not just cars that we MOT at Car Clinic MOT Centre, we can now test motorcycles too. Call us for our competitive rates and to book in your motorcycle.